Thank you for purchasing a voucher for a personalised picture cake. 15 designs to choose from. Simply fill in all the required fields below to book in your cake. DELIVERY IS NOW AVAILABLE: Delivery is available for a set cost of £30 anywhere in mainland Scotland. We cannot specify a delivery time, however all deliveries for this voucher will be delivered between 8.30am and 6.30pm. 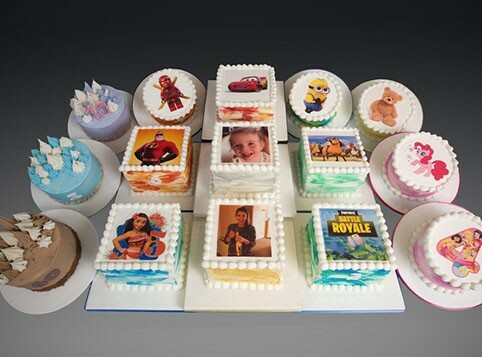 Delivery can be made to either your home address or party venue. Please ensure if you have selected delivery that someone is availabe between these hours. If Collection (9.30am - 5pm), Which Store? If Groupon, this must be your 'SECURITY CODE', not your . 'Groupon Code' - this is a 10 digit code containing number & letters. 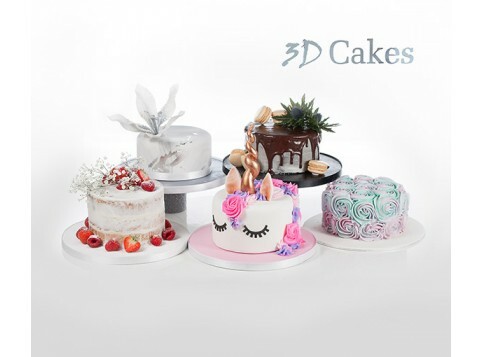 Would You Like To Increase The Size Of Your Cake To One Size Bigger? If you would like to change the picture in the design you have chosen please upload your image here. Would you like to change the colour scheme of the sides of your cake? If so please specify your chosen colour scheme here. Thank you for purchasing a voucher for a personalised picture cake. You can now redeem your voucher below.